Rumors are continuing across the NHL with only 5 days left before the trade deadline. Some of the players who were rumored to two or three teams are now being narrowed to one or two teams. It is obvious, each team has a plan B should a player they covet gets picked by another team. Let’s have a look at who is closer to a particular team. 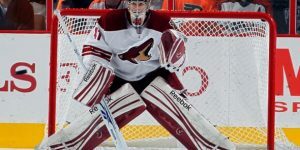 At Trade Rumors, we are getting our feet wet on this one by narrowing it down to whom is likely to end up with the players currently on the block. The Chicago Blackhawks are getting closer in getting Mikkel Boedker. Although teams like the Boston Bruins, the Florida Panthers, the Anaheim Ducks are all interested in Boedker, the Blackhawks seems to be to the closest. What could the Blackhawks give in exchange of Boedker? Hard to say who the Blackhawks could give but a first round pick is likely. Chicago will have a late 1st round pick and do not hold a second round draft pick. This pick went to Philadelphia in the Kimmo Timonen trade last season. A potential player could be Philippe Daneault who has been doing very well this season as a rookie. Andrew Ladd may have played his last game as a Jets in Winnipeg, last night. The Jets may try to keep him and make one last offer but the Jets haven’t negotiated with Ladd’s agent since December. Apparently at that time, according to Pierre Lebrun from ESPN and TSN Insider Trading, Ladd and the Jets were not that far apart with the $6M for 6 years. 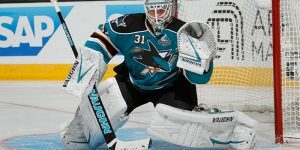 Ladd was observed by Chicago Blackhawks general manager Stan Bowman and Chicago could be the no.1 player they are eyeing and Boedker could be their plan B. Bowman will need to figure out what he can give for Ladd. Maybe his first pick in this year’s draft will be in play with Philippe Daneault. We also throw in the Florida Panthers in the mix. Ladd and Dale Talon know each other from their time in Chicago. Talon likes Ladd’s grit, leadership, professionalism and scoring touch. It appears more and more Loui Erikson will be traded by the Boston Bruins. His destination is unclear but Erikson could help a team in need of offense. The bruins were not able to come up to an agreement with Erikson who’s having his best season at the perfect time of his career. This season Erikson has scored 23 goals and 45 points in 60 games played for the Bruins. He was looking for a contract for what appears to be a six year at 6M deal from the Bruins. General manager Don Sweeney couldn’t give it to him and is now forced to trade Erikson. 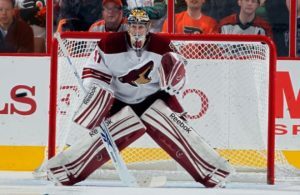 Teams interested in Erikson are the Anaheim Ducks, the Minnesota Wild. The Ducks need offense with Ryan Kesler and could spare a defenseman and a pick for Erikson. As for the Wild, it is seen more as a long term hockey trade and keeping him beyond this season. With the uncertainty reigning with the Carolina Hurricanes’ position in the standings, it is difficult to predict what general manager Ron Francis will do with his captain. 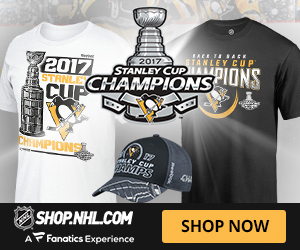 Staal has been with the Carolina Hurricanes his whole career, has won the Stanley Cup with them and is playing with his brother Jordan. Why would he want to leave Carolina? The idea of winning the Stanley Cup is appealing to Eric Staal and he may be leaning towards a chance of winning it again. 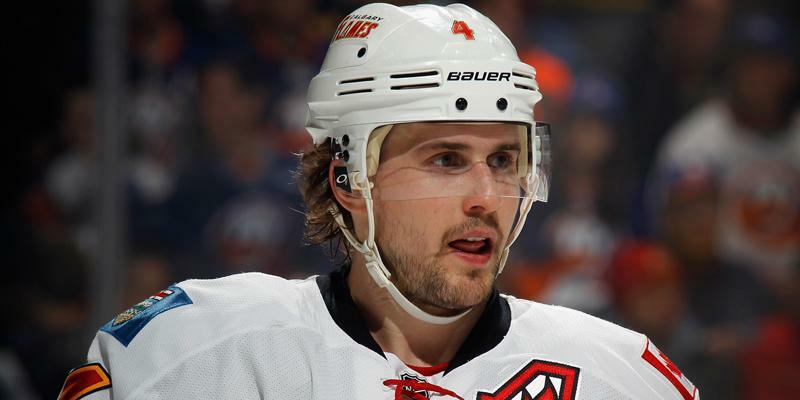 He will be an unrestricted free agent this summer unless Ron Francis pulls a rabbit out of his hat and resign him to a new deal at a lower cap hit. 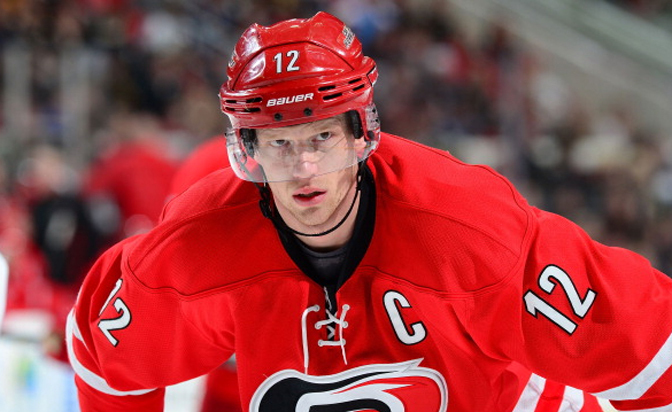 Staal may be inclined to stay in Carolina for two reasons. One, the Carolina Hurricanes are not entirely out of it and have a good chance to slip in. Second, Staal may want to stay to captain this upcoming team who has good prospects coming up. But the other option may be the New York Rangers as stated by the TSN NHL Trading Insider Pierre Lebrun. Lebrun put forward the idea that Eric Staal in New York would be a “good fit”. New York could use him at center on a second line or with Rich Nash and he would be able play with his other brother, Mark. The problem with the New York Rangers is that they don’t have much depth in the farm team and can’t really afford to let go another first round selection for a rental player. 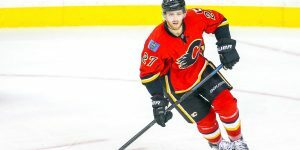 Kris Russell like other pending UFA has not been able to come up with an agreement with the Flames. Russell is looking for a salary in the range of what Jeff Petry signed last season with Montreal Canadiens. 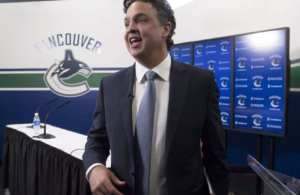 Predicting where Russell will end up is difficult because the market for a defenceman is slim. 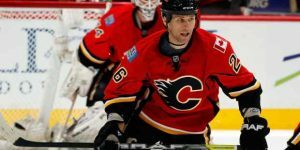 Russell, with the Flames this season, recorded 4 goals for 15 points in 51 games played. 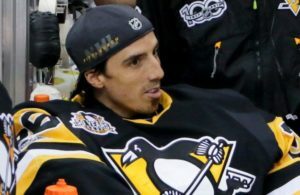 He is a minus -4 playing on a second pair od defenseman. Russell could fetch a first round draft pick because of the lack of rental defensemen available. The Dallas Stars have shown interest in Russell and we think he will end up in Dallas. Of note, watch the Washington Capitals and the Los Angeles Kings to make a pitch for Russell. Dale Weise had a great season start and like the rest of the Montreal Canadiens ended up in a drought. Weise represents an excellent addition on a fourth line or a third line pending injuries. 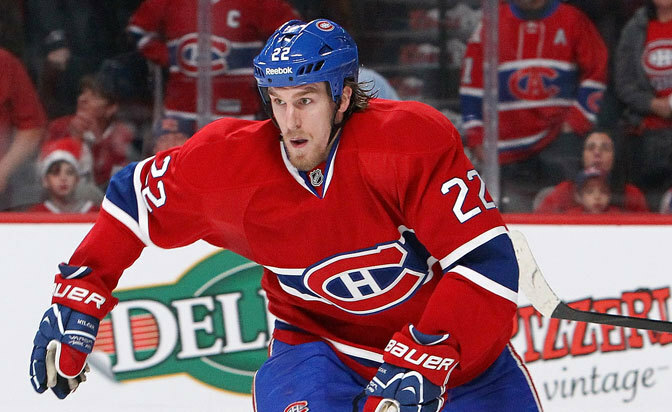 Weise will be an unrestricted free agent and believes he can get $4M next season. Obviously the Montreal Canadiens are not ready to pay that amount. There hasn’t been any negotiations with the Winnipeg, MB native. In 2015-2016, Weise has scored 14 goals for 25 points in 55 games played for Montreal he is an even 0, in the plus / minus column. He can bring some grits and get in the corners. More than one team are interested in Weise but the team we hear the most are the Florida Panthers. Weise has played for head coach Gerard Gallant so the connection exist between Gallant and Weise. With Ottawa, they can add a future star with some great young players like Mark Stone, Jean-Gabriel Pageau, Curtis Lazar, Kyle Turris and Mike Hoffman. It was rumored the Tampa Bay Lightning were interested in defenseman Cody Ceci for Drouin which was denied by the Senators. In Colorado, Drouin would be a great fit with Nathan McKinnon. The two played together with the Halifax Mooseheads in the QJMHL and have won together the Memorial Cup in 2013.